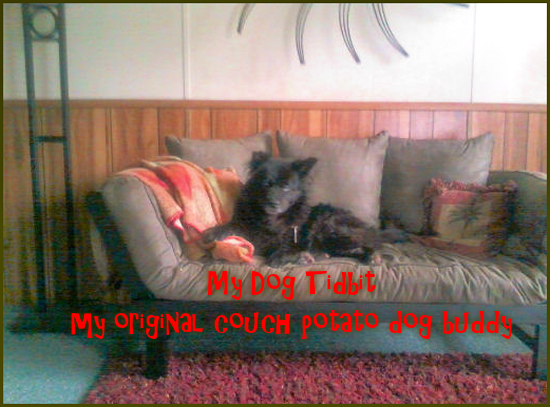 When not in motion—my dog Tidbit was a couch potato! Tidbit was a pretty high-energy dog—Chow/Australian Shepherd mix. However, being a rather prissy dog, she did not like sitting on the floor or on the ground. When my dog Tidbit could no longer hop up on the couch, my roommate Scott purchased a love seat sleeper that was low to the floor. (We had recently moved and left my old living room furniture behind.) Being able to curl up on the sofa once again made Tidbit a happy dog. My old dog Tidbit easily adapted to her new love seat and continued as my canine couch potato for nearly a year before she passed on. While I now find sitting on Tidbit's sofa rather comforting at times, it is also a bit sad to see the empty piece of furniture in my living space. NOTE: Don't miss my review of the sofa sleeper on Amazon and my article about the sleeper love seat for Tidbit on Bubblews. 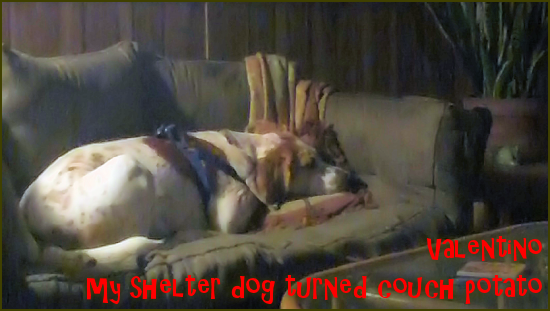 Sadly, my shelter dog, Valentino, was pretty much terrified the first time I helped him up on to the love seat, acting as though punishment was the result of getting on the couch in his past life. 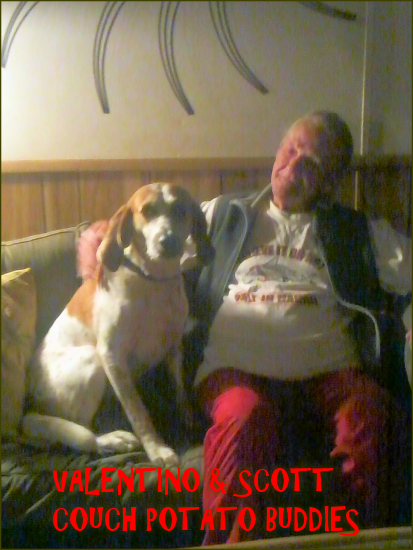 Nowadays, my high-energy hound dog Valentino is becoming quite content as a couch potato—for part of the day, at least. Generally, it's the latter part of a day that Valentino enjoys loafing on the sleeper, after he has worn himself out (and me) with our long walks around the neighborhood and on the beach. It was quite a milestone this past week when our shelter dog Valentino turned into a couch potato, one who could care less who sees him on the furniture! I have never had an issue with my dogs on my furniture. In fact, I rather enjoy a snuggle on the sofa with my dog or my dog warming my feet at the foot of the bed. Most articles I read about family dogs on the furniture are about how to keep the dog OFF the furniture. Although, I did find that dog trainer Jim Burwell agrees with my Yes! to dogs on furniture. 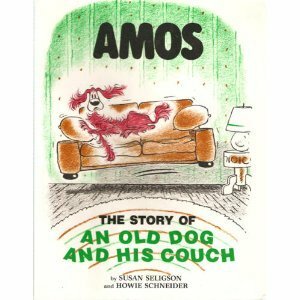 But of course, since I enjoy reading books for kids, one of my favorite series of dog books are those about Amos and his couch adventures. 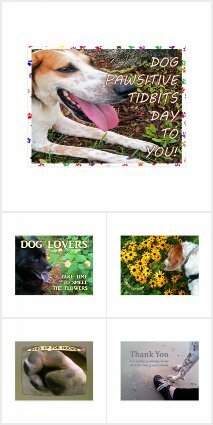 All dog lovers should own at least one of the Amos books to read with their children, including the dogs in the family! 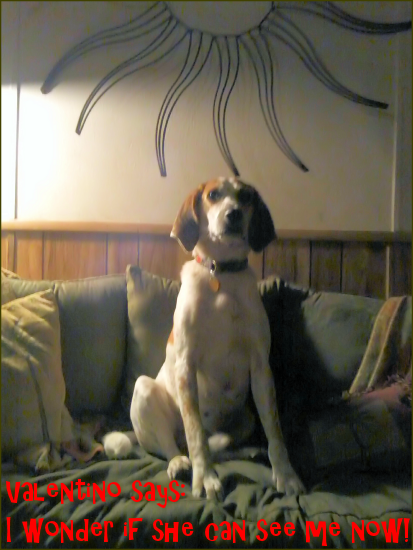 I suggest beginning with Amos: The Story of an Old Dog and His Couch. Dog Lovers and Readers: Share your thoughts about dogs on furniture. Let me and my readers know if you have a couch potato dog buddy too! 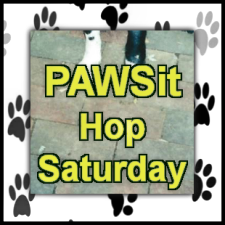 You are welcome to leave a comment here on this Dog Pawsitive Tidbits article and we would also love it if you would dog blog along with us this week for PAWSit Hop Saturday. Get the InLinkz code for your PAWSit dog blog post.